The changeable Victorian weather threatened to ruin our weekend; however, it turned out quite fine with fluffy grey clouds and patches of sunshine. My wife and I chose the “big circle” route. Driving through Powelltown, Neerim Sth, Nilma to Traralgon, turning off to Yarram and winding around the hills of the Tarra Bulga National Park. One special jewel in the crown of this area is Tarra Valley forest walk. This forest features lots of high and low ferns, together with myrtle beech trees and mountain ash, covered with all sorts of moss and fungi. Meandering creeks running over falls and a beautifully peaceful air makes one appreciate the diverse beauty that our state offers. If only the camera could justify. We came across our very own Rob Wagner peering thru his lens endeavouring to do just that very thing. Travelling on we dropped in to check out Tarraville, Port Albert and Port Welshpool. Personally, I wanted to photograph birds captured in flight, however, this can be difficult as the birds themselves are somewhat “flighty”. Meeting together at the Toora Tourist Park after settling in, we strolled to the local pub where we all enjoyed our meal and made plans for the next day. It was decided that we would all travel together and head west to Port Franklin, where we were rewarded with some terrific opportunities for bird photography. This port is a peaceful little river port set on the Franklin River surrounded by mangroves and plenty of birds. Of course, moored pleasure and fishing craft. Onwards to Foster where we enjoyed lunch and visited a gallery that displayed the talents of the South Gippsland Camera club. We all agreed that the photography was of a very high standard. We were all impressed. So much so that one of our members purchased an excellent example of the art that was on display. 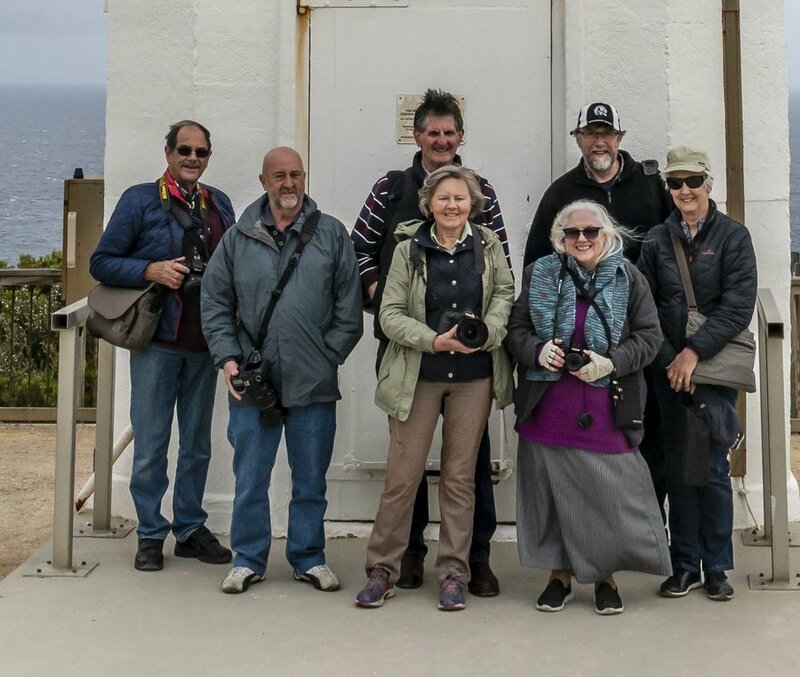 The Knox Camera Club had also chosen this weekend for their time away together with more than 30 of their members staying at the Foster Tourist Park. Travelling on with a plan to visit the Liptrap historic lighthouse, we all managed to grab a few shots before the wind nearly blew us off the cliff tops. It was certainly not suitable for long exposures on that day. We did however find a more sheltered area around Walkerville South. After enjoying an evening meal at the pub once again, we met back in one of the units for drinks, nibbles and review. All in all, it really was a pleasant weekend, great company, too much food, and wonderful sights, and while some headed home Sunday straight after breakie, a few of us enjoyed photographing the wonderful jagged coastline around Cape Paterson. Older PostWorkshop Presentation by James McEwan - Photojournalist.